Lyle Spiesschaert's great-grandfather came from Illinois as a young boy via the Oregon Trail, arriving at Verboort in 1884. The farm itself was established at least 115 years ago. Lyle still has the original covered wagon that made the trip in the 100 year old barn. The new metal siding makes it seem much younger! Also on that wagon was Father Herman Osterman, who founded the St. Mary's Home for Boys in Beaverton. Drive slowly along Thatcher Rd. 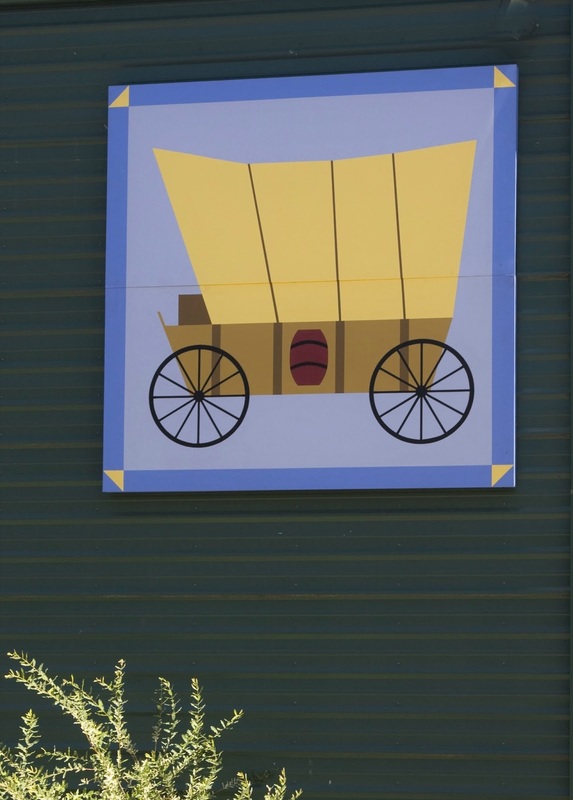 and look for the Covered Wagon block, an original design. 3150 NW Thatcher Rd, Forest Grove.